The first step is an examination and consultation to determine whether or not you are a candidate for a dental implant procedure. This usually involves x-rays and may include taking impressions for models of your teeth. During the examination, Dr. Beagle or Dr. Black will be evaluating the area(s) of your mouth where teeth are missing, including the amount of bone available to support the placement of implants. They will also be communicating with your general dentist and working together with your dentist and yourself to evaluate the type of replacement teeth that will best meet your needs. A review of your health history will indicate whether any medical conditions exist that could prevent you from being a candidate for a dental implant procedure. A second diagnostic appointment and consultation with Dr. Beagle or Dr. Black is sometimes required to further evaluate the quality and quantity of available bone to determine the number of implants necessary, as well as to ascertain whether additional procedures may be needed to obtain the desired functional and aesthetic result. If you have already lost a significant amount of bone, Dr. Beagle or Dr. Black will also be evaluating the possibility of procedures to add (graft) bone or create new bone. Our office utilizes Cone Beam Computerized Tomography (CBCT) when necessary to more fully diagnose and treatment plan patients who may have limited bone volume for a dental implant procedure, or for patients who present with certain types of bone defects associated with teeth. 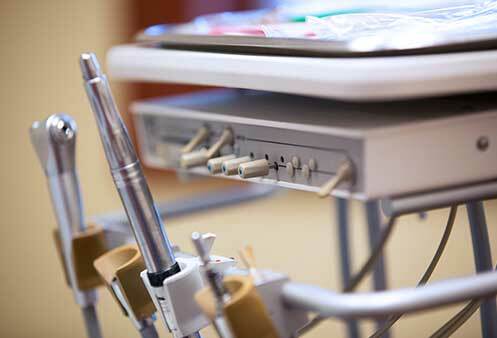 This technology allows us to also utilize Computer Guided Implant Placement, when necessary, to accurately and safely treat patients with challenging dental problems. One of BlackBeagle’s special areas of expertise is tooth extraction. Our doctor’s extensive knowledge of the relevant biology and of minimally traumatic extraction techniques allows them to remove failing teeth in such a way as to preserve as much of the surrounding bone and soft tissues as possible. This allows for a much more comfortable patient experience, often decreases the necessity of more expensive and more involved bone grafting procedures, and facilitates and often expedites the healing process. Single rooted teeth are extracted, almost always with implants placed immediately at the time of extraction. Multi-rooted teeth (molars) can but do not often permit ideal implant placement at the time of extraction; therefore in these sites our doctor’s recommend waiting approximately six to eight weeks for the socket to heal and the surrounding bone to remodel.  In cases involving separate extraction and implant placement procedures, having Dr. Beagle or Dr. Black extract the tooth allows for them to more accurately evaluate the area, and to assess and prepare for eventual implant placement. The implants are placed in the bone using a gentle surgical technique. The implants are placed in our office, most often under local anesthetic, allowing patients to drive themselves to the appointment and home. Sedation options are available for those patients who so desire. Following the implant placement procedure, the implants are left undisturbed, typically for a period of 6 to 12 weeks so that the bone can grow around the implants to form a strong biological bond to them. During this bone “remodeling” phase, you may have some type of temporary replacement teeth if you would like, so that you never have to be without teeth during treatment. In cases necessitating extensive rebuilding of the bone prior to implant surgery, total surgical treatment time may be extended for up to nine months. It is sometimes the case that patients do not have a sufficient quality or quantity of bone in a projected implant site to predictably support the implant. This inadequacy could be due to unique anatomical factors, or it could be resorption or loss of bone due to injury or longstanding tooth loss. Either way, most often this lack of bone can be addressed at the time of the dental implant procedure with a simultaneous bone graft. Each patient’s unique circumstances dictate the type of bone grafting performed, but typically simultaneous bone grafting involves Dr. Beagle or Dr. Black utilizing specialized materials to assist your bone in anchoring the dental implant. Sometimes patients have lost bone from a vertical perspective in the sinus regions (upper right and upper left molar areas). The etiology of this bone loss can vary, but often is the result of “pneumatization”, or “dropping down” of the sinus following tooth loss. When teeth are missing in these areas, the sinus routinely drops down over time, limiting and eventually prohibiting the placement of dental implants. A sinus “lift” or bone grafting procedure is a predictable and proven technique performed to enable implant placement for individuals who have insufficient bone in the sinus region. 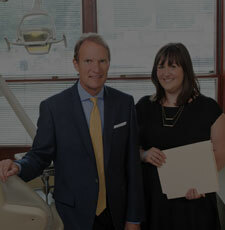 This procedure can be done prior to or in conjunction with implant placement, depending on the extent of bone loss. Placement of crowns on top of the dental implants involves a few appointments with your general dentist., Following the appropriate bone remodeling period, a small connector post called an abutment is attached to each implant. The permanent replacement teeth will eventually be attached to the abutments. Placement of this post, or abutment, is most often done by the restorative dentist, but may be done in our office upon request of the general dentist. Your dentist will then take impressions of your teeth and the implant abutments, often place temporary replacement teeth, select the appropriate shade for your replacement teeth and try them for proper fit. In between these appointments, the laboratory technician will fabricate your permanent replacement teeth and the underlying structures that will be attached to the implants.